This week, in the wake of new information on the October, 2016 crash of the European Space Agency’s (ESA) Schiaparelli Mars lander (part of the ExoMars program), a vendetta of sorts is playing out. The vendetta and its consequences illustrate the pitfalls of operating within the government space realm. A different vendetta. Frank Pentangelli (Michael V. Gazzo) meeting the Rosato brothers (Carmine Caridi and Danny Aiello) from the 1974 Francis Ford Coppola movie, The Godfather Part II. Screenshot c/o You-Tube. As outlined in the November 23rd, 2016 Space News post, "ESA: Mars lander crash caused by 1-second inertial measurement error," the ESA has revealed that the Schiaparelli lander’s October 19th, 2016 crash landing on Mars was caused by an unexplained saturation of its inertial measurement unit (IMU), which then delivered incorrect navigational data to the lander’s computer. Tainted by this bad data, the lander’s computer believed that it was about to land or had landed already. The lander then prematurely triggered its parachute, briefly fired its landing thrusters, and then activated its on-ground systems. All of this took place while, in fact, Schiaparelli was still 3.7 kms above Mars’ surface. The lander crashed, but not before transmitting a great deal of Martian atmospheric data back to the ESA. The plot thickened the next day when, as outlined in the November 24th, 2016 Romanian Insider post, "Romanian entrepreneur in conflict with Italian Space Agency over failed Mars mission," the Agenzia Spaziale Italiana (ASI) publicly blamed one of its subcontractors, the ARCA Space Corporation, for the crash of the Schiaparelli lander. 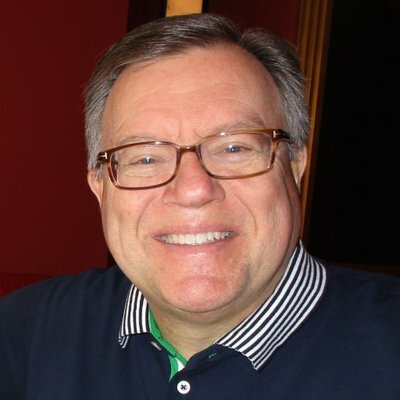 Q&A With ARCA CEO Dumitru Popescu. Video c/o ARCA on Vimeo. ARCA, a company registered in New Mexico and founded by Romanian entrepreneur Dumitru Popescu, was under a €1.1 million EUR ($1.56Mln CDN) contract to the ESA to conduct Schiaparelli’s flight and atmospheric entry testing. On the same day, ARCA issued a statement flatly denying responsibility for the crash. The company said that it was responsible only for testing Schiaparelli’s landing parachute, not the IMU. ARCA claims that an Italian firm was tasked with testing the IMU and so may have been culpable in the crash. Company representatives also implied that ARCA would take legal action against ASI for libel. According to Romanian website News.ro, Dumitru Popescu had initially stated that some of ARCA’s project testing could not be done because the intended testing ground lay close to the Crimea region, which at the time had just come under Russian occupation. And finally, as outlined in the November 25th, 2016 Mars Daily post, "ExoMars space programme needs an extra 400 million euros," the ESA has indicated to journalists on a conference call that it will ask its member nations to cough up an additional €400 million EUR ($569Mln CDN), on top of the already budgeted €1.5 billion EUR ($2.13Bln CDN), to complete the final phase of the ExoMars program, which will see a rover sent to the Red Planet in 2020. Ministers from ESA’s twenty--three member nations (including Canada) will meet in Lucerne, Switzerland on December 1st - 2nd, 2016 as part of the 2016 European Space Agency (ESA) Ministerial Conference, to discuss the cost overrun. ExoMars’ expediency-driven overruns and scapegoating are inherent to government-oriented space programs. In our current age of low-cost micro-satellites, open-source robotics and low-cost rockets, Europe’s traditional approach to space may be at the point of diminishing returns. "Conference season," that time when academia, business and government leaders get together to schmooze and pitch projects and plans, is finally winding down for the holidays, with the notable exception of the 2016 European Space Agency (ESA) Ministerial Conference (which includes the Canadian Space Agency as an associate member), which will be held from December 1st - 2nd, 2016 in Lucerne, Switzerland. Liberals in Space! Our government supported space activities, operate under numerous funding constraints and need to operate within "Canada's Innovation Agenda," a Federal government program focused around collaboration with other government departments and the application of science to develop new technologies and products. Just look at all the groups which had to come together to build just this one, single image with a question mark. 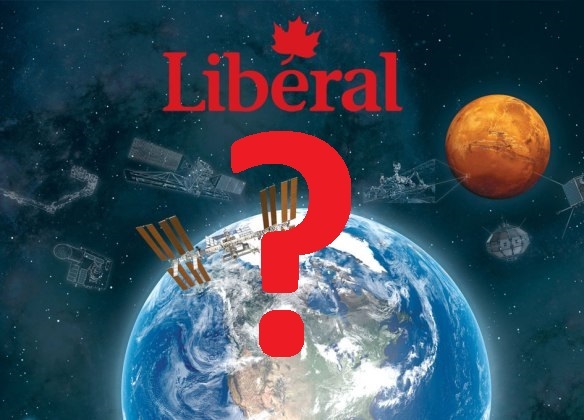 Graphic c/o the Commercial Space blog, SpaceRef.ca, the Canadian Space Agency & the Liberal Party of Canada. After a grace period covering its first year in office, some are finally beginning to question the ongoing lack of Federal Liberal government support and funding for our space agency. And, as outlined in the November 25th, 2016 Students for the Exploration and Development of Space Canada (SEDS-Canada) post, "The Canadian Space Agency’s serious budget limitations are hurting the Canadian economy and are harming Canada’s future in space," at least a few of those concerns are coming from Canadian students hoping to work in the space industry. As outlined in the article, "the new federal government should comply with the 2012 Aerospace Review, which recommended stabilization of overall CSA funding in real dollars." The post goes on to state that, "the benefits of living in the space age have become so pervasive that their creation and support has been taken for granted, but the investments required to sustain these public goods and to invent new ones require support from the Canadian government. Yet the Canadian government has chosen to tightly limit the CSA’s budget from 2016 to 2019..."
"This act is painful to those already established in the Canadian space sector and it is effectively pulling up the ladder on young Canadians eager to find a job, pursue advanced degrees, start businesses, or attend conferences..."
Of course, the editorial isn't perfect. For example, it objects to the 2014 de-funding of the Microvariability and Oscillations of Stars (MOST) space telescope without acknowledging that, as outlined originally in the April 13th, 2015 post, "The MOST Space Telescope Joins the Private Sector," the telescope remains operational today, even without Federal funding. But is is a reasonable indication of the way the Canadian political winds are beginning to blow. Governments who ignore this leading indicator, do so at their peril. It's hard to believe given the history, but it seems that the James Webb Space Telescope (JWST) might be on track, on budget and on schedule for launch in October 2018. As outlined in the November 27th, 2016 New York Times post, "NASA on track to launch advanced Webb space telescope in 2018," the giant space telescope which once threatened to co-opt the entire NASA astronomy budget, is now "on track and on budget to be launched in October 2018." The article notes that, while the JWST is now on track, other programs, such "as a proposed space telescope to study dark energy, which the (US) National Academy of Sciences (NAS) had hoped to put on a fast track to be launched this decade," are not. The NAS project has been postponed until 2025 or later. For an outline of Canada's contribution to the JWST, check out the June 29th, 2014 post, "James Webb Space Telescope Preparing for 2018 Launch." For background on the initial cost overruns associated with the project, check out the July 12th, 2011 post on "Tracking Costs for the James Webb Telescope." A November 21st, 2016 tweet showing the ground breaking ceremony at Downsview Park. As outlined in the November 21st, 2016 Centennial College post, "Centennial's Aerospace Campus breaks ground at Downsview Park,"the project has just received an additional $18.4Mln CDN from the Federal Post Secondary Institutions Strategic Investment Funds (SIF) and $25.8Mln CDN from the Ontario government, in order to relocate the college's aviation programs to the new facility. Photo c/o @CentennialEDU. After six years of "official" campaigning and a further fifteen years of preliminary proposals and politicking, the proposed Downsview Park aerospace hub and its centerpiece, the new Centennial College Aerospace campus, has finally begun construction. As outlined in the November 21st, 2016 Federal government press release, "Canada and Ontario invest in post-secondary infrastructure at Centennial College," $44.2Mln CDN in new funding has been allocated by Science Minister Kirsty Duncan and by Ontario Premier Kathleen Wynne, in order to begin construction on the long-anticipated facility. In total, the project is expected to cost $72Mln CDN. The funds will be used to re-purpose the historically significant de Havilland building at 65 Carl Hall Rd., using "selective demolition," plus add new construction, in order to create a new 138,000 square feet facility with instructional space and a new hangar large enough to accommodate current commercial jets. Other partners in the project include the University of Toronto Institute for Aerospace Studies (UTIAS), Ryerson University, York University, Bombardier and others. The campus will anchor the Downsview Aerospace Innovation and Research (DAIR) cluster. As outlined in the July 28th, 2015 post, ""Up to $18.4Mln" More for the Downsview Aerospace Hub," this isn't the first time the project has received funding or even the first time construction was expected to move forward. But it is the first time that ground has actually been broken on the site. The project is expected to be completed in 2019. For more, check out upcoming editions of the Commercial Space blog. Apogee Publishes New Book on "The Father of Canadian Astronautics"
Collector's Guide (CG) Publishing, under its award winning Apogee Books imprint, has just released the second of two new books on notable, but until now mostly forgotten, Canadian space pioneers. Author Robert Godwin with Colleen Lapp at the Canadian Aeronautics and Space Institute (CASI) Toronto branch meeting at the University of Toronto Institute of Aerospace Studies (UTIAS) on November 24th, 2016. Godwin was in town to speak on the topic of "The Empire Strikes Out - The Commonwealth Space Program," and to promote his latest books. According to Godwin, Phil Lapp "embodied Canadian Space achievement" and even "put the space in CASI." Among other things, Lapp helped to found the Canadian Astronautical Society (CAS) in 1957, and then helped it merge with the Canadian Aeronautical Institute (CAI) to become CASI in 1962. For more on the Commonwealth space program, check out the July 20th, 2015 post, "Part 1 of The Empire Strikes Out - Canada's Defence & The Commonwealth Space Program," or subscribe to the Space Library. Photo c/o Chuck Black. Graphic c/o CG Publishing. The book is called "The Father of Canadian Astronautics; The Life of Dr. Philip A. Lapp O.C.," and CG Publishing owner/ author Robert Godwin admits that he chose the title. "It would never occur to Phil to be so self-aggrandizing," Godwin said during a recent interview. Working from within DeHaviland's newly formed missile division (beginning in the 1950's) Lapp immediately recognized the new world that was opening up in Sputnik's wake. Within a few weeks of that momentous event he organized a meeting of his fellow engineers to inaugurate a "Canadian Astronautical Society" at the De Haviland factory in Downsview, Ontario. This meeting heralded the birth of Canada's space program. Lapp also co-authored, along with John Chapman, P.A. Forsyth and G. N. Paterson, the 1967 report on "Upper Atmosphere and Space Programs in Canada." Known today as the "Chapman Report," it's generally considered to be "Canada's original blueprint" for space activities. The book takes the reader on a journey from Lapp's beginnings in Toronto, through his contributions to the Avro Arrow, the Allouette 1 satellite, the birth of Direct-TV, the iconic Canadarm and RADARSAT, to the end of his life when he earned Canada's highest civilian award, the Order of Canada. Colleen Lapp, Phil Lapp's widow, at UTIAS on November 24th, 2016. "I'm so happy to reconnect with some of my husband's old colleagues as a result of the publication of the book. It's kinda been my baby since Phil died and I'm so happy to be able to help Rob (Godwin) and others to bring it to fruition," she said. Perhaps now, the completed book will help to give purpose to others. Photo c/o Chuck Black. The second book, also written by Godwin, is "William Leitch; Presbyterian Scientist & the Concept of Rocket Space Flight 1854 - 1864." Regular readers of this blog will recognize Leitch as the subject of previous articles, including the October 4th, 2015 post "Rocket Spaceflight Accurately Described by Scottish-Canadian Scientist in 1861," which describes Godwin's original paper on the topic, and the September 12th, 2016 post, "William Leitch: Presbyterian Scientist & the Concept of Rocket Spaceflight 1854-64," which described the steps leading up to the publication of the book in September 2016. Understanding Leitch and Lapp, their history and the context surrounding those who came before us is always the first step in climbing upon their giant shoulders and building our own future. We should learn more about them. To facilitate that, both books are available on the CG Publishing website. CSDC website. Graphic c/o CSDCMS. As outlined in the November 18th, 2016 Canadian Satellite Design Challenge (CSDC) press release, "Fourth Canadian Satellite Design Challenge Begins!," teams are off and running in the latest iteration of the long running competition designed for university students to launch a small micro-satellite into orbit to conduct science research missions. According to the press release, "representatives from 12 of the 14 registered teams recently travelled to Winnipeg to attend the Canadian Space Society's annual Summit, as well as to participate in a workshop to meet each other and to review the CSDC requirements." This year's teams hail from Carleton University, Concordia University, École Polytechnique de Montréal, McGill University, Queen’s University, Simon Fraser University, the University of Alberta, the University of British Columbia, the University of Manitoba, the University of Toronto, the University of Victoria, the University of Waterloo, the University of Windsor and York University. The CSDC is managed by a federally-incorporated not-for-profit volunteer organisation, which benefits from support from some heavy hitters in the space and aerospace worlds, including Boeing, MacDonald Dettwiler (MDA), UrtheCast, and Magellan Aerospace as well as Defence Research and Development Canada (DRDC) and the Canadian Space Agency (CSA). An overview of the proposed SLS with its MPCV. As outlined in the September 14th, 2011 Space Policy Online post, "New NASA Crew Transportation System to Cost $18 Billion Through 2017," the US Congress directed NASA to build the SLS and MPCV as a compromise with the Obama administration, which had recently canceled the Constellation Human Spaceflight Program and was instead advocating the Commercial Crew Development (CCDev) program, intended to stimulate development of privately operated crew vehicles to be launched into low Earth orbit. Infographic c/o Graphic News. 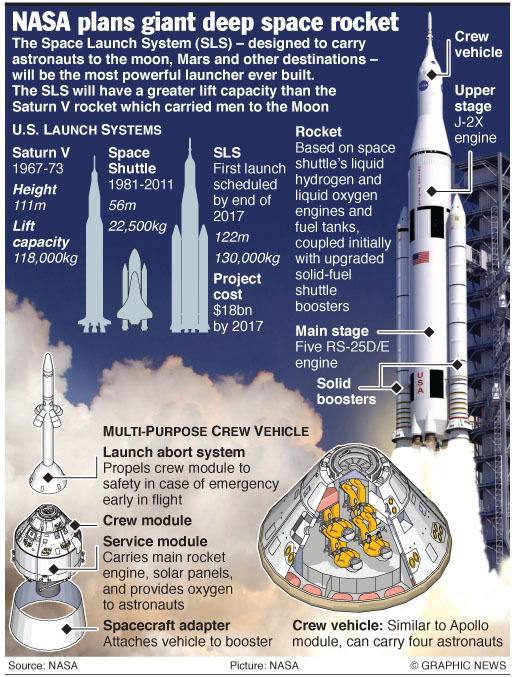 NASA seems to be slowly coming to the conclusion that its Space Launch System (SLS) and Orion spacecraft (also known as the multi-purpose crew vehicle or MPCV) are too expensive to actually build and use. As outlined in the November 17th, 2016 ArsTechnica post, "NASA realizes SLS and Orion are too expensive, opens door to competitors," NASA has issued a request for information (RFI) to industry and academia for ideas on "how best to cut the production and operations costs for its SLS rocket and Orion spacecraft, which presently consume more than $3 billion annually in development costs." The article quoted Bill Hill, the engineer who currently oversees the development of SLS and Orion for NASA, as acknowledging that the vehicles were too costly now to be practical. Moving right along, have we mentioned that Vancouver, BC based Urthecast is having a good month? As outlined in the November 16th, 2016 Satellite Finance post, "UrtheCast readies ECA deal for Earth observation system," the company "aims to secure as much as C$250m (US$186m) in export credit agency-backed funding in the next few months to deploy up to eight Earth observation satellites from 2019." As outlined in the June 22nd, 2015 post, "Is UrtheCast Becoming Canada's "Other" Space Program?," the eight new satellites will be the plucky startup’s first new spacecraft since it gained two in-orbit birds last summer after acquiring Deimos Imaging in Spain. Even better, as outlined in the October 16th, 2016 Globe and Mail post, "Vancouver space imagery company tops this year's Deloitte Technology Fast 50," the company, which provides high-definition images and data from space, has also topped this year’s Deloitte Technology Fast 50 list of growing companies. 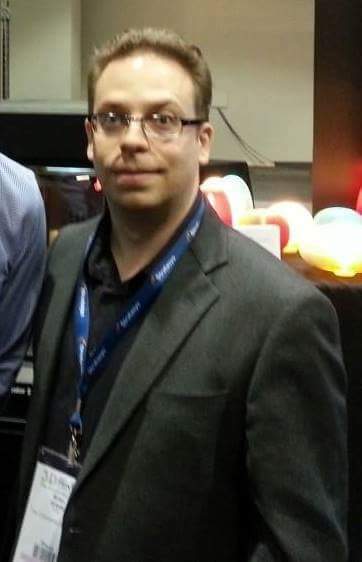 CSA president Sylvain Laporte at the 1st Canadian Space Policy Summit. Photo c/o Spaceref.ca. Of course, there are those who still argue that the space sector, especially our Canadian space sector, is languishing and "needs a champion." As outlined in the November 15th, 2016 Spaceref.ca post, "The Canadian Space Agency Perspective from the 2016 Space Policy Symposium," at least one or two people disposed towards that perspective seem to have attended the the 1st Canadian Space Policy Summit organized by the Canadian Space Commerce Association (CSCA) on November 8th, as part of the larger 2016 Canadian Science Policy Conference (CSPC 2016). But the article also quoted CSA president Sylvain Laporte as not being one of those people. According to Laporte, "space is going to be very tightly aligned with the (Federal) Innovation Agenda going forward" and other Federal government departments also have an interest in this area. Laporte mentioned climate change, developing the north, agriculture and management of resources, with space potentially able to contribute to every one of these areas. No doubt Laporte is familiar with the 2012 David Emerson led Aerospace Review, which advocated using space based assets and capabilities to solve terrestrial problems. That report has been accepted as government policy by both the outgoing Conservatives and the incoming Justin Trudeau Liberal government and informs current policy in this area. Until space advocates begin to understand Emerson and start making alliances with other government departments looking for useful technologies to solve pressing problems, they will most likely continue to believe that they're unloved and need a "champion." The larger CSPC 2016, which took place at the same time in the same building and was covered in the November 13th, 2016 post, "Generalists, Data Miners, Lotteries, Comedy, Open Access and the Future of Science in Canada," included almost no participation from those who had attended the 1st Canadian Space Policy Summit. But quite a few of the rest of the Canadian science community was at CSPC 2016. These are the very same scientists the space activist community (who mostly only attended the 1st Canadian Science Policy Summit) need to meet, make friends with and promote solutions for, at least if they want to continue working in the space industry. Graphic c/o Canadian Space Society. While the 2016 Canadian Aerospace Summit, which took place in Ottawa, Ontario from November 14th - 15th is generally considered to be the largest of the fall aerospace focused events, and was the subject of the November 21st, 2016 post on "The US Military, CSeries, Roland Berger, Bell, MDA, Airships & Minister Bains at the 2016 Canadian Aerospace Summit," the annual Canadian Space Summit, which took place in Winnipeg, Manitoba from November 13th - 14th, 2016, is also well worth noting. As outlined in the November 13th, 2016 Global News post, "Space weekend launches in Winnipeg," the conference "celebrated Canadian achievements in space and opened the door to more conversation for people wanting to know more about Canada’s initiatives in space." Speakers included Eric Choi, the senior business development manager at Magellan Aerospace; Witold Kinsner, the president of the Institute of Electrical and Electronics Engineers (IEEE) Canada; Mary Preville, the director general of policy at the CSA; Steven Freeland, a professor of international Law at Western Sydney University in Australia; John Spray, the director of the Planetary and Space Science Centre at the University of New Brunswick and Brigadier General Blaise Frawley, the director general for space at the Department of National Defence (DND). Notable not only for its record breaking 1100+ exhibitors and participants, but also as the platform for the release of major new projects and strategic discussions on economic issues, sustainable development and global change, the 2016 Canadian Aerospace Summit wrapped up in Ottawa on November 15th after a successful two day run. Here are some of the more interesting presentations and discussions. A full house at the Shaw Centre in Ottawa on the first day of the Summit. As outlined in the November 17th, 2016 Aerospace Industries Association of Canada (AIAC) press release, "2016 Canadian Aerospace Summit Concludes; Attracts Largest Audience Ever," the Summit "brings together industry executives and government decision makers for two days of meetings, networking, and high-level presentations on aerospace growth and competitiveness." The Canadian Aerospace Summit is hosted by the AIAC. Photo c/o Brian Orlotti. The Summit’s first talk, ‘Defense Innovation -- Must be a Team Game,’ was given by retired US Vice Admiral William Landay. Bill Landay. Photo c/o Linked-In. Landay made the case that while military innovation has traditionally been driven within the military industrial base and targeted toward specific military needs, many of today’s commercial technologies also have great applicability in this area. He argued that US military culture has become too risk-adverse and conservative (with too may regulations and standards) and must change in order to adapt to new threats. Military organizations need to create an environment that encourages commercial companies, individual inventors and university researchers to work with them. Landay noted the growing blur between commercial and military technologies, citing unmanned aerial vehicles (UAVs) as an example. He also discussed non-state actors’ (i.e. terrorist/insurgent groups) rapid adoption of commercial techologies for battlefield use, for instance their use of UAVs for reconaissance and weapon targeting. Landay concluded that, in the future, most military technologies will be commercially derived. Not all the activities at the Summit were wrapped around dense power-point presentations. As outlined in the November 16th, 2016 AIAC press release, "Rob Dewar and the CSeries Aircraft Program Team Named the 2016 Recipient of the James C. Floyd Award for Aerospace Achievement," there was also time to celebrate past successes. As outlined in the press release, annual the James C. Floyd Award was "established in 2009 in honour of the chief engineer on the Avro Arrow project. AIAC’s James C. Floyd Award for aerospace achievement is an annual award that honours exceptional contributions to the Canadian aerospace sector. 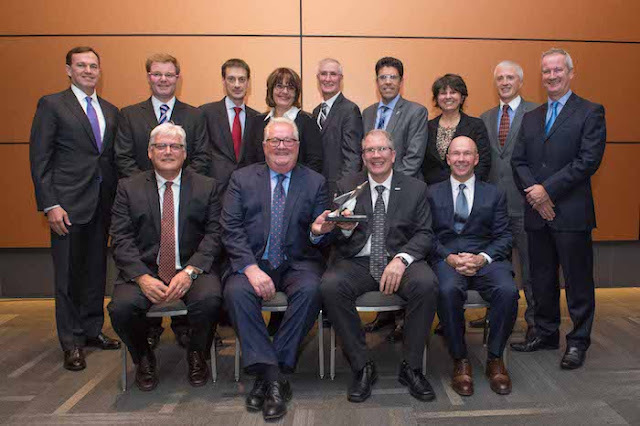 Nominations are submitted by AIAC members and evaluated by an independent review panel (and) presented during the Canadian Aerospace Dinner, which is held at the annual Canadian Aerospace Summit." Photo c/o AIAC. Manfred Hader. Photo c/o Finance. Hader discussed digital technologies’ transformative effects on the aerospace supplychain and the aerospace industry’s slow adoption of electronic interchange of order and inventory information between parts suppliers and clients, despite their ability to greatly reduce production and development times (in marked contrast to its rapid adoption in the retail and manufacturing sectors). He also talked about the steadily increasing use of 3D printing, citing examples such as Local Motors 3D printing cars in localized micro-factories and the US Navy and Maersk Line 3D printing spare parts aboard ships. Hader spoke of Airbus working with Uber to adapt its ride-sharing software platform for helicopters and flying cars. Also mentioned was Airbus’ partnership with IBM to provide a cloud-based analytics service that can optimize life cycle management, increasing an aircraft’s ROI by 25%. Hader concluded saying that digital transformation will require a new mindset in the aerospace industry and that those who do not adopt it will miss out on opportunities and thus perish. Costa Rica trade minister Alexander Mora, with AIAC president Jim Quick (both seated) on the second day of the summit, preparing to sign a memo of understanding between AIAC and the Costa Rica Aerospace Cluster (CRAC). Photo c/o Brian Orlotti. 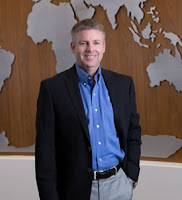 Mitch Snyder, the president and CEO of Bell Helicopter, spoke about some of his company’s current projects, most notably the Bell 505 Jet Ranger X and its advanced avionics. Mitch Snyder. Photo c/o Bell. The Bell 505s are scheduled to replace the Canadian Coast Guard’s decrepit fleet of Sikorsky CH-124 Sea King helicopters. Synder said the production line for the Bell 505s was relocated from Lafayette, Louisiana to Mirabel, Quebec earlier this year. Bell’s Canadian workforce had been subjected to numerous layoffs over the past few years that have left it at less than half its peak number of 2,000. Bell’s other current projects include the V-290 Valor tilt-rotor transport/gunship (a replacement for the US Army’s Blackhawk and Apache choppers), the Bell 525 Relentless medium-lift helicopter with fly-by-wire and advanced sensor suite and the V-247 Vigilant tilt-rotor combat unmanned aerial vehicle. Synder stated Bell Helicopter’s view that tilt-rotor craft are beginning to displace traditional helicopters. Don Osborne on stage during the first day of the Summit. Photo c/o Brian Orlotti. Don Osborne, the president of the information systems group at MacDonald Detwiller (MDA), spoke at the Summit in lieu of new CEO Howard Lance (who, although scheduled to attend, developed a “not too serious” respiratory infection and stayed home to convalesce). Howard Lance. Photo c/o Twitter. After a lengthy recitation of the company’s early history and achievements, Osborne briefly mentioned MDA’s incorporation in Delaware and Mr. Lance’s appointment as the company’s US-based CEO, then capped it off with a statement of MDA’s pride in being Canadian. Osborne stated MDA’s view that the Canadian government must invest more in space just as other industrialized nations have. He welcomed the new Liberal government, but warned that it must “fulfill its youthful promise,” and said that MDA approves of the Liberals’ Innovation Strategy, but emphasized the need for a "long-term space plan," to prevent Canada from losing its space leadership. Only one day after the Summit concluded, Lockheed Martin announced the first contract for its hybrid airship project. As outlined in the November 16th, 2016 Fortune post, "Lockheed's Hybrid Airship Gets Launch Customer in Canada," Montreal, PQ based Quest Rare Minerals, has signed a memorandum of understanding to lease the airships as part of its plans to develop a rare earth metal project in northern Quebec, where the airships will be used for transportation and haulage. The total contract is expected to be worth up to $850Mln USD ($1,143Bln CDN) including fuel costs, and cover a 10-year period. Graphic c/o Lockheed Martin. 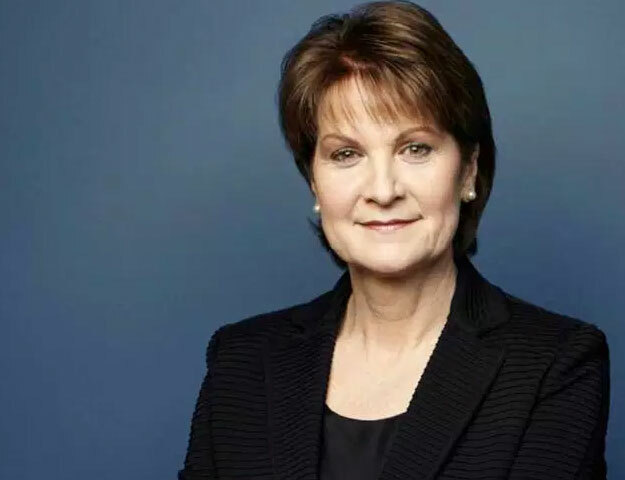 One of the Summit’s marquee presentations was that of Lockheed Martin CEO Marillyn Hewson. Hewson outlined two initiatives of particular relevance to Canada’s North. Marillyn Hewson. Photo c/o LM. She first discussed Lockheed Martin’s hybrid airship project. A cross between a blimp and a hovercraft, the airships’ helium-filled chambers have enough lift to haul up to 21,000 kgs of cargo, plus up to 19 passengers. With a cruising speed of about 110 kph, they can travel a distance of nearly 2,600 kms. An air cushion landing system enables the hybrid airships to touch down nearly anywhere (land, water or ice) with no ground infrastructure needed. 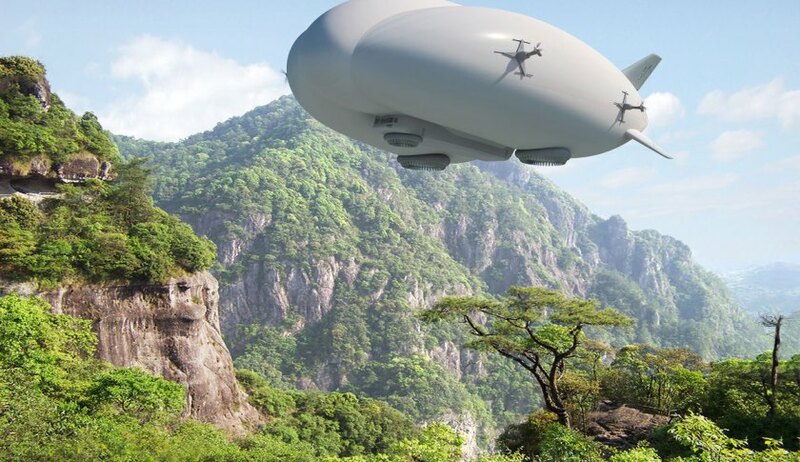 Lockheed believes that hybrid airships could revolutionize remote transportation. Hybrid airships could provide a cheaper and greener alternative to the expensive airplanes and helicopters that remote northern Canadian mining operations and communities currently rely on for delivery of basic necessities. Hybrid airships burn less than one tenth the fuel of a helicopter per ton, saving money and reducing carbon emissions. Lockheed is working with Transport Canada to certify hybrid airships. Hewson also announced Lockheed’s partnership with four Northern communities to establish a pilot program for sustainable energy ‘microgrid’ systems. Designed to help reduce off-grid communities’ reliance on diesel generators, the microgrids will consist of sun-tracking solar panels connected to batteries. Monitored by software, the system will be able to switch between generator and battery power as needed. Once fully implemented, Lockheed projects a 40 percent reduction in the amount of diesel fuel used across these communities, in turn reducing carbon emissions by 160,000 tons per year. If successful, the company plans to market the microgrids to developing nations seeking energy independence and sustainability. Minister Bains during a media scrum on the second day of the Summit. Photo c/o Brian Orlotti. The Federal Government will revive the Space Advisory Board. As outlined in the November 14th, 2014 post, "Industry Minister Moore Announces Space Advisory Board Members," the board was originally created by the previous Conservative government as one of the recommendations of the 2012 David Emerson led Aerospace Review. It originally came with a mandate to report on the direction of the Canadian Space Agency (CSA), but never released a public report. Canada’s "New Space Strategy" will be launched in June 2017. The expectation/hope from various space advocacy groups, such as the Canadian Space Commerce Association (CSCA) and others, is that this new, but so far unnamed strategy will bear more than a passing resemblance to the traditional Canadian perception of a dense and detailed "long-term space plan" as discussed in posts like the February 15th, 2010, "Ottawa Citizen:" Where did that Long Term Space Plan Go?" Besides, as outlined in the October 13th, 2015 post, "Part 2: Abandoning the Emerson Aerospace Review?," both the Liberals and NDP made promises to produce one of those more detailed reports during the last election. Given that the Liberals actually won the election, perhaps they should follow-through on their campaign promise, just so long as any document produced is in compliance with the governments larger innovation policy. Canada needs more science, technology, engineering and mathematics (STEM) workers. The Federal government is taking a multi-pronged approach by acting to reduce foreign worker visa-processing times down to 2 weeks; working to ensure that Colleges and Universities are aligned with "the needs of the aerospace industry;" expanding the scientific research and experimental development (SR&ED) credit program to provide more research and development (R&D) money to small companies and “unlocking” more Federal R&D money via multi-year funding plans. An overview of the ministers talking points are included with the November 16th, 2016 Federal government press release, "Setting the stage for a globally competitive aerospace and space industry in Canada." The 2016 Canadian Aerospace Summit provided a forum for enabling the Canadian aerospace industry to adapt to current challenges while securing its future. The Commercial Space Blog congratulates the AIAC on a smooth and worthwhile event. "Constellations" of satellites, working in concert to provide telecommunications access to currently unserviced and under-served regions are the latest profitable area of growth for space focused ventures. This evolving market is expected to generate $175Bln USD ($236Bln CDN) in satellite manufacturing & launch revenues over the next ten years, according to the March, 2016 Northern Sky Research paper, "Satellite Manufacturing and Launch Services, 6th Edition." Screen grab from November 17th, 2016 You-Tube video, "SpaceX seeks approval for satellite powered internet service - Elon Musk." As outlined in the January 16th, 2015 Seattle Times post, "Elon Musk touts launch of ‘SpaceX Seattle,’" the program was publicly announced in January 2015, with the projected capability of supporting the bandwidth to carry up to 50 percent of all backhaul communications traffic and up to 10 percent of local internet traffic in high-density cities. To accomplish this, each of the 4425 proposed satellites (more than the total of all currently operational satellites) is expected to weigh approximately 850 pounds (the size of a small car) and intended to orbit at an altitude of between 1,150 kilometers and 1,275 kilometers. To see the complete video above, simply click on the screen grab. Screenshot c/o AB Video Studio. SpaceX (FCC file number SATLOA2016111500118) is just one of eleven organizations which made filings for Federal Communications Commission (FCC) licenses to launch and operate non-GEO satellite constellations on November 15th, 2016. Audacy Corp (FCC file number SATLOA2016111500117) - Launched in 2015 by a team of Stanford graduates, ex-NASA employees, and SpaceX veterans, the company proposes three medium Earth orbit (MEO) satellites just to speed up the connectivity of the satellites being proposed by other companies listed below. As outlined in the proposal the company requested "authority to launch and operate a non-geostationary fixed- and inter-satellite service system operating in medium Earth orbit" using a variety of frequencies and lower latency. The Boeing Company (FCC file number SATLOA2016111500109) - As outlined in their proposal, Boeing requested "authority to launch and operate a non-geostationary satellite orbit system operating in the Fixed-Satellite Service in the 17.8-19.3 GHz and the 19.7-20.2 GHz bands (space-to-Earth) and in the 27.6-29.1 GHz and the 29.5-30.0 GH." As outlined in the June 23th, 2016 Space News post, "Boeing proposes big satellite constellations in V- and C-bands," Boeing wants US and international regulators to relax constraints on low-orbiting satellite broadband constellations using those frequencies and "has specifically asked for a license to launch and operate a network of 1,396-2,956 V-band satellites." Karousel LLC (FCC file number SATLOA2016111500113) - A mostly unknown start-up, with little public information available, backed by venture firms Columbia Capital & Telcom Ventures. As outlined in its FCC application, the company wants approval for a small, twelve-satellite system, composed of three groups in opposing, highly elliptical orbits. Kepler Communications (FCC file number SATLOI2016111500114) - This Canadian start-up, last profiled in the August 16th, 2016 post, "Kepler Communications Raises $5Mln in Venture Funding," has joined the FCC party for non-GEO constellations after spending most of its short corporate career attempting to sell low-cost nano-satellite re-transmitters or "repeaters." As outlined in their FCC application, Kepler plans on deploying up to 140 satellites, including spares, in a non-geostationary (NGSO) low-earth polar orbit between 500-650 km using seven orbital planes with 20 spacecraft equally spaced in each orbital plane between 2017 and 2022. The company intends to target machine to machine communications, not the conventional terrestrial telecommunications market. LeoSat MA Inc. (FCC file number SATLOI2016111500112) - As outlined on the LeoSat website, the start-up was established in 2013 by two former Schlumberger executives with "direct experience of the challenges of business data transportation." The company has partnered with Thales Alenia Space to "manufacture and launch a constellation of up to 108 Ka-band communications high-throughput satellites (HTS), which will be interconnected through laser links, effectively creating an optical backbone in space about 1.5 times faster than terrestrial fiber backbones." O3b Networks (FCC file number SATAMD2016111500116) - The company, financially backed by SES, Google, HSBC, Liberty Global, Allen & Company, Northbridge Venture Partners, Soroof International, the Development Bank of Southern Africa, Sofina and Satya Capital, currently has twelve satellites in orbit with eight more scheduled for launch in 2018 and 2019. 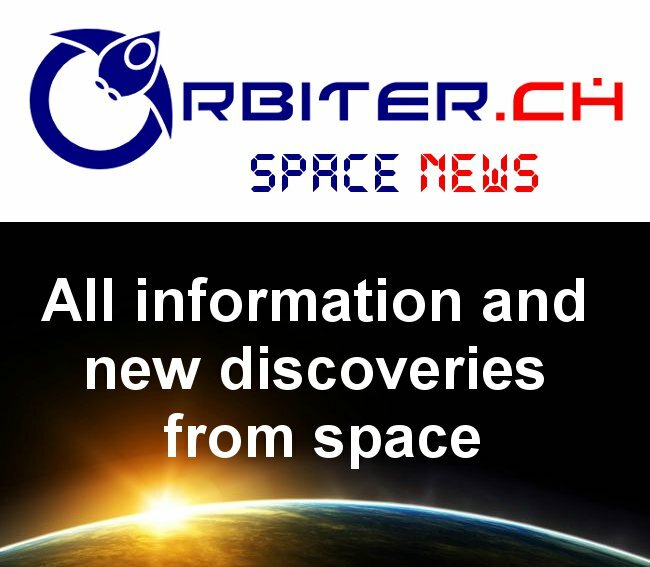 The latest application will add more frequencies to its capabilities plus add to its fleet sixteen new satellites operating in inclined orbits and twenty-four satellites in equatorial orbits. Space Norway AS (FCC file number SATLOI2016111500111) - The Norwegian based company has "requested access to the US market for its planned Arctic Satellite Broadband Mission (ASBM)," a high elliptical orbit, non-geostationary orbit satellite system with more than a passing resemblance to the stalled, Canadian Polar Communication and Weather (PCW) mission. Telesat Canada (FCC file number SAT-LOI-20161115-00108) - This non-GEO filing would be favored to receive Canadian government support as the preferred polar communications system, especially given that many other Canadian government projects are currently on hold. The FCC proposed plan calls for 117 satellites in two orbits at 99.8 degrees (at 1,000 km above the Earth) and 37.4 degrees (at 1248 km above the Earth). As outlined in the November 17th, 2016 Space News post, "Telesat prepares shareholder payday, outlines 117-satellite constellation," Telesat is "one of several companies planning internet constellations. How such a constellation, likely to cost several billion dollars, would be financed is unclear as the company’s two owners (New York based Loral Space and Communications and Canada’s PSP Investments pension fund) appear to disagree on a strategy." 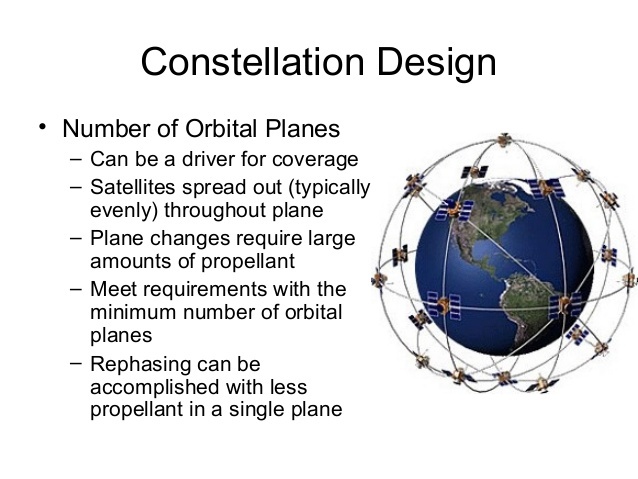 Part of a Aug 15th, 2013 presentation on "Satellite Orbit and Constellation Design" by Dr. Andrew Ketsdever. Graphic c/o Slideshare. Theia Holdings A, Inc (FCC file number SATLOA2016111500121) - As outlined in its proposal to the FAA, this little-known start-up has proposed launching 112 hyperspectral Earth observation & communications satellites into various orbits. ViaSat, Inc. (FCC file number SATLOI2016111500120) - ViaSat is a provider of high-speed satellite broadband services and secure networking systems covering military and commercial markets. It currently possesses one operational satellite, ViaSat-1, which launched in 2011, and expects to launch its second satellite, ViaSat-2, in the first quarter of 2017. The latest proposal calls for a constellation of 24 MEO satellites operating in Ka- & V-band, operating at 8,200 km, in a variety of orbits with 20 year operational lives and MEO-to-GEO links. The eleven applications listed above are not the only satellite constellation applications received by the FCC over the past year. Applications have also been received from WorldVu Satellites Limited, operating as OneWeb (on April 28th, 2016 as per FCC file number SATLOI2016042800041) and Spire Global, Inc. (on November 14th, 2016 as per FCC file number SAT-LOA-20151123-00078). As outlined in the April 30th, 2016 Satellite News post, "OneWeb Petitions The FCC For LEO Satellite Constellation Access To US Markets," OneWeb set off the current round of satellite constellation expansion months ago and the other, more recent FCC applicants are simply playing catch-up to define their territory and add credibility to the concept. Terrestrial based telecommunications firms are also defining their territory, mostly via litigation as they push back against the satellite providers attempting to disrupt their existing revenue model. As outlined in the June 9th, 2016 Space News post, "Dish Network battles OneWeb and SpaceX for Ku-band spectrum rights," they have achieved at least some success in this area. But, as outlined in the October 16th, 2016 Newsfactor post, "Venture Capitalists Turning to Space for Their Next Big Returns," there is a great deal of money expected to be made from the upcoming generation of satellite constellations. None of the current crop of competitors will give that prize up without a fight. 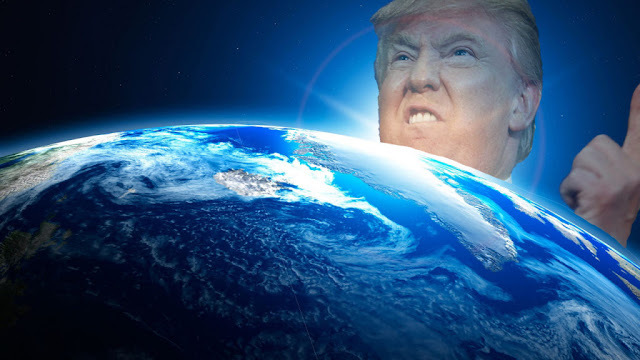 Donald Trump in Space; Now Fortified With Public Private Partnerships! On November 8th, 2016, New York billionaire real estate mogul and reality television star Donald Trump was elected the 45th President of the United States. As part of the aftershocks of this political earthquake, space analysts and advocates are trying to gauge what form the President-elect’s space policy will take. A self-explanatory graphic c/o David Reneke. During his campaign, Trump gained notoriety for his waffling, often contradictory stances on various issues. His space policy, at present, seems painted in only broad strokes. 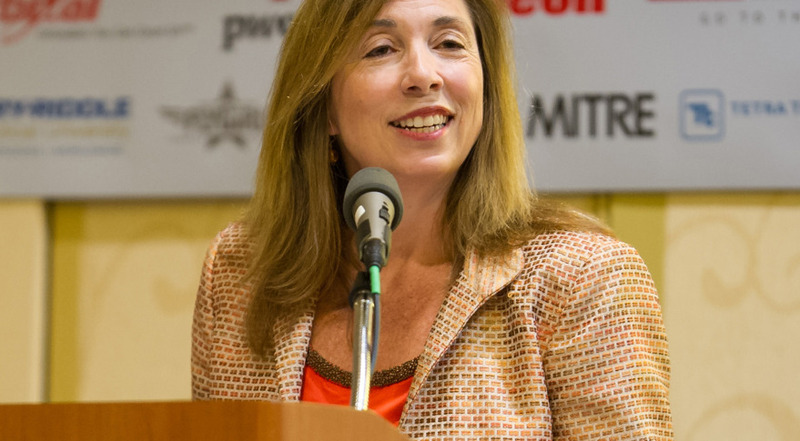 As outlined in the November 11th, 2016 Scientific American article, "What Will Trump's Space Program Look Like?," former NASA Deputy Administrator and Obama space adviser Lori Garver noted that one very likely outcome of Trump’s victory will be a gutting of NASA Earth Science and green tech programs. Ex-NASA deputy director Garver. Photo c/o Space News. During the campaign, Trump made clear both his denial of climate change (dismissing it as a Chinese lie intended to cripple the US economy) as well as his support for increased domestic extraction of fossil fuels, such as coal and oil. Garver went on to say that the future course of the US space program will likely be indicated by the Trump Administration’s choice for NASA Administrator. 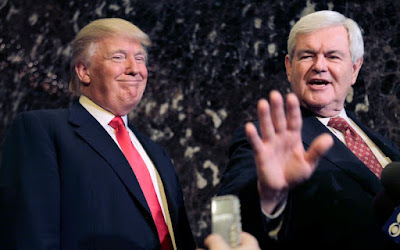 Donald Trump’s close relationship with former US House Speaker Newt Gingrich, could potentially herald a great shift in the US space program’s direction. Gingrich, a long-time space advocate, is well-known for his desiring a more ambitious US space effort, both public and private. During the 2012 US election, Gingrich openly advocated for colonizing the Moon and making it the 51st US state. Gingrich has also been a staunch supporter of NASA’s Commercial Crew program. A NASA administrator of the Gingrich school could see increased support for the commercial space industry as well as a shift back to the Moon as the NASA destination of choice. 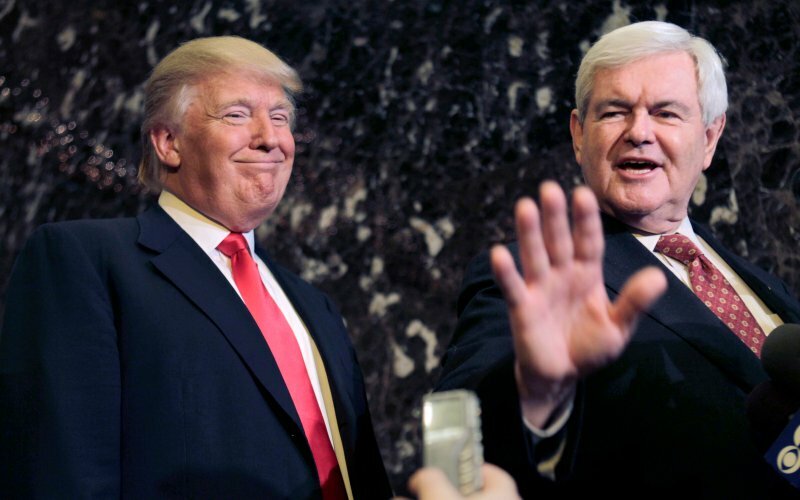 Trump, with Gingrich. Photo c/o Seth Wenig/AP. Trump’s past statements indicate that he views space not just as a driver of scientific and technological advance, but as an instrument of national prestige and US exceptionalism. And he even has a basic idea on how to fund it. A cornerstone of my policy is we will substantially expand public private partnerships to maximize the amount of investment and funding that is available for space exploration and development. This means launching and operating major space assets, right here, that employ thousands and spur innovation and fuel economic growth. I will free NASA from the restriction of serving primarily as a logistics agency for low earth orbit activity. Big deal. Instead we will refocus its mission on space exploration. Under a Trump administration, Florida and America will lead the way into the stars. With a victory in November, everything will change. Just think about what we can accomplish in 100 days. Donald Trump, in his quest to “make America great again,” seems poised to re-infuse space with nationalism even while instilling in it the drives of capitalism. Or not. The clock will soon begin ticking on those first 100 days. 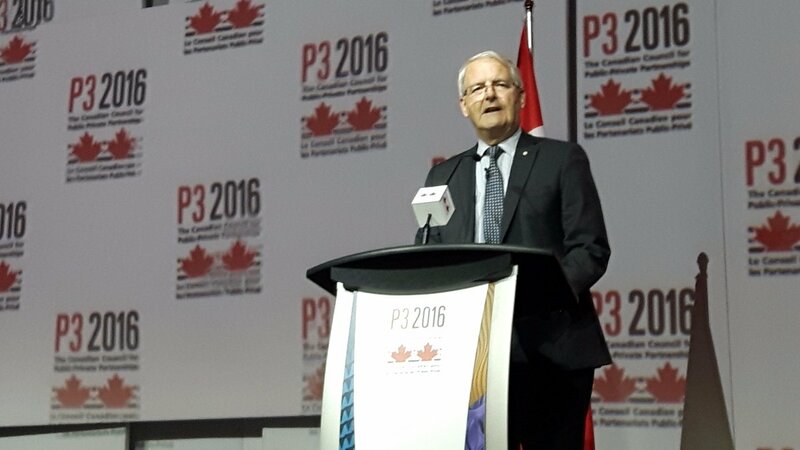 Garneau on stage at P3 2016. As outlined in his presentation, the Federal government will invest $10.1Bln CDN in transportation infrastructure for trade and travel, and roll out a new federal infrastructure bank, which will develop public private partnerships to help fund the needed infrastructure. As outlined in the July 6th, 2016 post, "Brownsville, STARGATE and SpaceX," the space industry has also utilized public private funding mechanisms to build out infrastructure and generate jobs. Photo c/o Chuck Black. Federal transport minister Marc Garneau was in Toronto on November 14th, 2016 doing his part to promote the government's agenda during the 24th Annual CCPPP National Conference on Public Private Partnerships (P3 2016), which is being held at the Sheraton Centre Toronto Hotel from November 14th - 15th. As outlined in the November 13th, 2016 Globe and Mail post, "Ottawa to make 'unprecedented' appeal for private investment in infrastructure," the Justin Trudeau government has been looking to foreign investors to park billions of dollars in Canadian based public-private partnerships, to help fund the construction of needed infrastructure projects such as hospitals and highways throughout the country. Of course, not everyone is in favor of these partnerships. Many are concerned that they are simply the first stage in the privatization of major Canadian utilities. Over lunch, a small protest of about 100 people, mostly Ontario government workers, disrupted the conference proceedings by marching through the event shouting "Ontario is not for sale," before they were escorted off the premises by local police. But it's worth noting that public private partnerships also helped create Telesat Canada, now the fourth-largest fixed satellite services provider in the world, but once a Canadian crown corporation created in 1969 as a public private partnership to provide telecom access in the far north. Canada is considered a world leader in the creation of public private partnerships and P3 2016 is generally considered the premier event for gaining knowledge in this area. 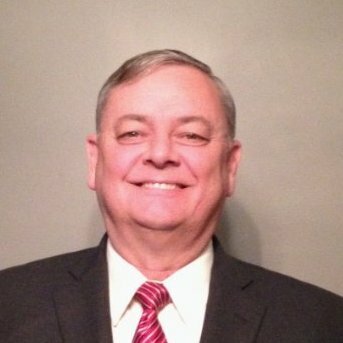 The Canadian Department of National Defence (DND) official who negotiated Canada's entry into the Wideband Global SATCOM System (WGS), a high capacity satellite communications system originating with the United States Department of Defense (DoD) and the Australian Department of Defence, says the US DoD "has become much more open to international partnerships than it used to be." The November 10th, 2016 SpaceNews post, "Canada says military satcom negotiations with U.S. are much improved" quotes Canadian Forces Lt. Col. Abde Bellahnid, as saying that his "US counterparts have become increasingly willing to take allied opinions into account." According to the article, Bellahnid said he "was particularly impressed by the U.S. Defense Department’s willingness to allow allies a seat at the table as the Pentagon evaluates next-generation satellite communications requirements and the future involvement of the commercial sector and U.S. allies." The process, known as an Analysis of Alternatives (AoA), has included an invitation to 16 allies, including Canada, to take part. Canada is expected to eventually gain access to the $11Bln USD ($15Bln CDN) constellation for about a half-billion dollars and discussion is also slowly moving forward on other potential collaborations. The Canadian Space Agency (CSA) has finally begun promoting Apogy, an open source tool developed and used by the space agency to simplify the creation of the software needed to operate physical systems such as rovers, robotic arms, scientific instruments and sensors. As outlined in the November 11th, 2016 CSA blog post, "Apogy: the one-stop-shop solution for operating robots, satellites and beyond," the technology is designed to offer "a one-stop-shop solution where all the basic functions needed to manage that platform are standardized and accessible from a single place." Background on the Apogy tool is available online at Eclipse, an open source community of tools, projects and collaborative working groups. Vancouver, BC based Urthecast is having a good quarter. As outlined in the November 10th, 2016 Urthecast press release, "UrtheCast Reports Strong Third Quarter 2016 Revenue and EBITDA Growth," the company reported Q3 non-international financial reporting standards (IFRS) revenues of $15.5Mln CDN, a 68% increase over Q3 2015 non-IFRS revenue of $9.3Mln CDN. IFRS revenue for the quarter was $20.7Mln CDN, a 37% increase over the $15.0Mln CDN reported in the same period last year. The company, which seems to employ a surprisingly large number of ex-MacDonald Dettwiler (MDA) employees, sells Earth imaging data collected from a variety of orbital sources and has announced plans to place a 16 satellite Earth imaging constellation in Earth orbit to bolster its capabilities. There's Gold in Them Thar Roids!